Electricians Ottawa | Residential Services | Salter & Reid Electric (2000) Inc.
Electricity is a resource that serves many purposes and it is difficult to imagine living in a world without it. With such a pivotal role that electricity plays in our lives, it only makes sense that the electricity powering your home is wired to code and meets the functional and esthetic needs of your space. 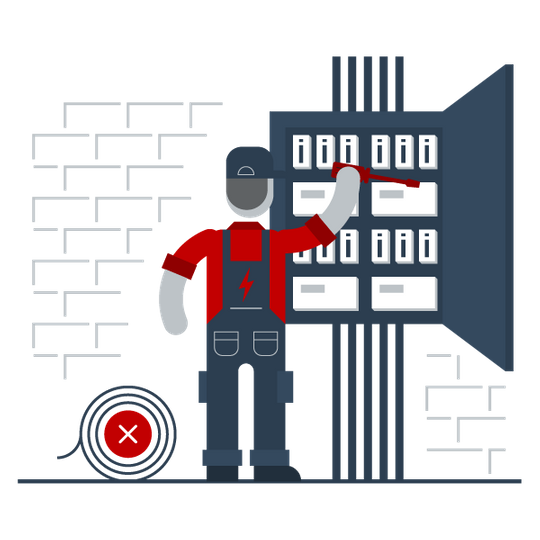 As licensed electricians in Ottawa, we serve clients in the Greater Ottawa area with a complete range of quality electrical services. From troubleshooting and service upgrades to major installations and renovations, there is no job too big or small for us to handle. As experienced electricians in Ottawa, we will help you with any sort of residential service you need. Over the years we have honed our eye for detail and can advise you on how to maximize your curb appeal with strategically placed exterior lighting and how to illuminate your interior with properly placed ambient lighting. We will also answer any questions you may have regarding wattage, LED lighting, and more. Visit our gallery page for a glimpse of our past projects. Have questions about our services? Give us a call today!